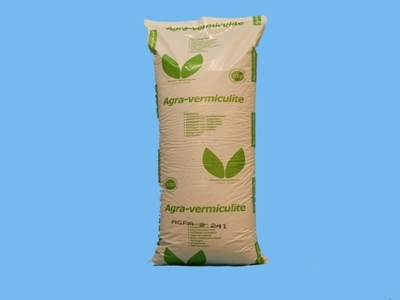 The product Vermiculite is a sterile mineral that has a high moisture holding capacity. Because of the heatingproces, there are harmonic-shaped pieces that contain many air cells. Thanks to these air cells the Vermiculite, has water holding capacity. The target group is seed, breeding and propagation companies. The content is 100 l / bag. At> 50 bales directly from supply.